Every year, a couple of weeks before school starts, I start purchasing things that I need for the school year. I always seem to find myself wracking my brain to try and remember everything that I need to get. I decided to make a list of items that I buy EVERY SINGLE YEAR before the school year begins, so I can make sure that I have everything I need. 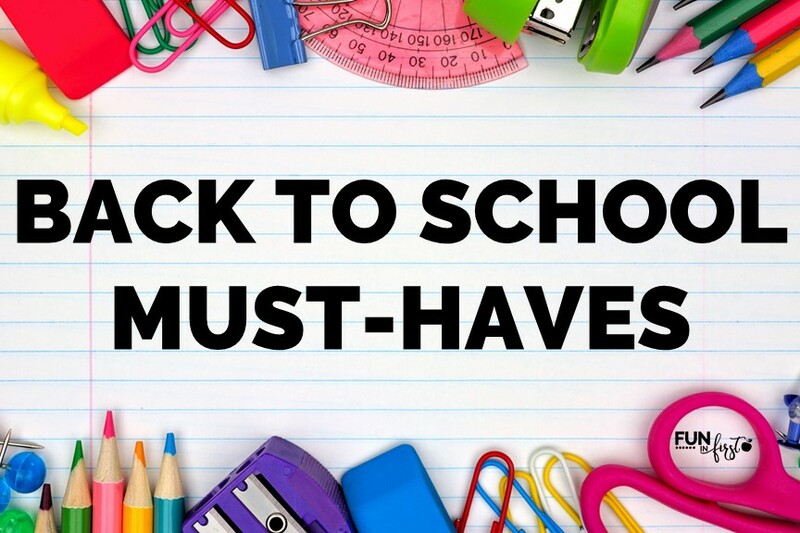 This list includes all of my must-have back to school items. I am not including those items that you buy once every couple of years or a new expensive item for your classroom. I am talking about the consumable items that have to be purchased every year. You can never have enough crayons. I feel like my students must be eating crayons each year. They always bring their own at the beginning of the year, but most of those are gone by the second week of school. I always provide crayons in baskets in my classroom, but I am constantly adding more to the tubs. 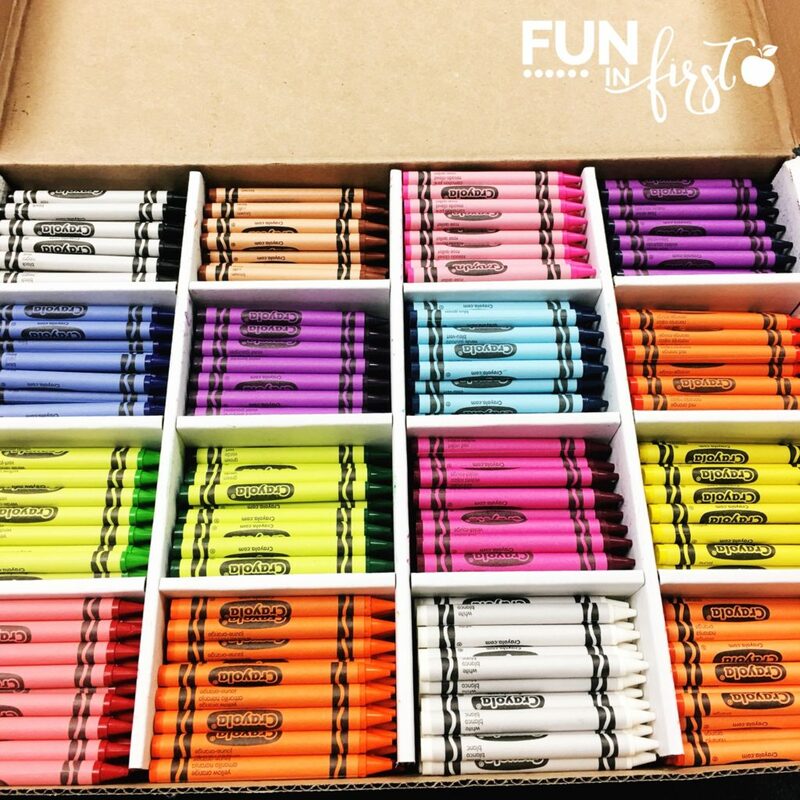 I usually stock up on the cheap crayon boxes at Walmart during back to school time (ALWAYS Crayola), but if I have to buy them later on in the year, I found that buying a large bulk box on Amazon was cheaper. Glue sticks are another item that somehow disappear in no time. You can never have too many glue sticks. I always get folders before the school year starts. I purchase red ones to use as Ketchup folders. (Students keep these in their desk to place work in that they need to “catch up” on.) 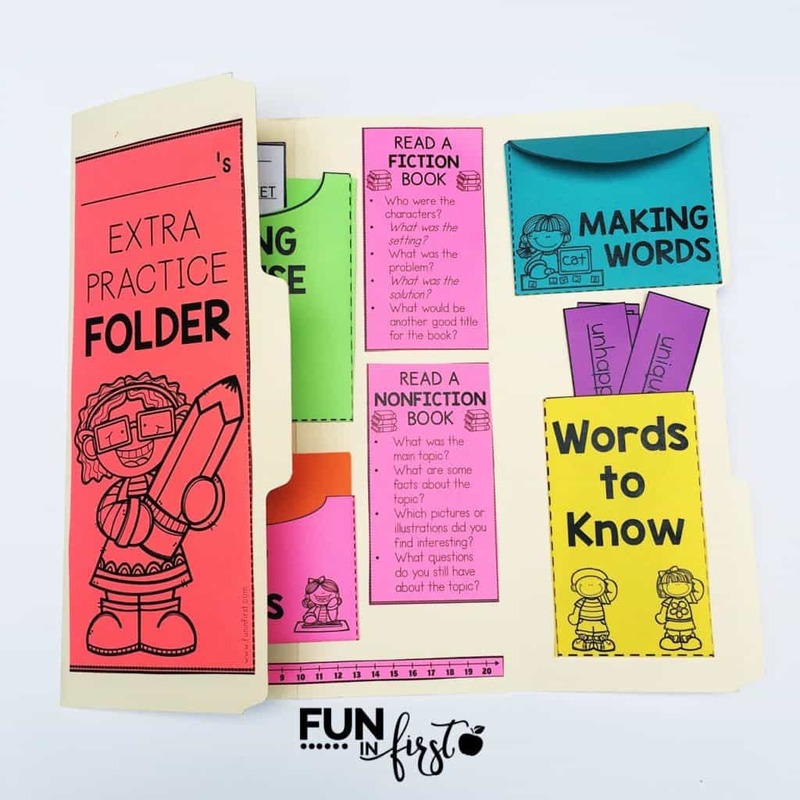 I also love these Resource Folders from Really Good Stuff. I get a new pack of Mr. Sketch Markers every single year. They last the entire year and are perfect for anchor charts. I go through at least one tablet of chart paper each year for anchor charts, interactive writing, etc. I seriously use Astrobrights paper for everything. I love the colors, and I love the quality. 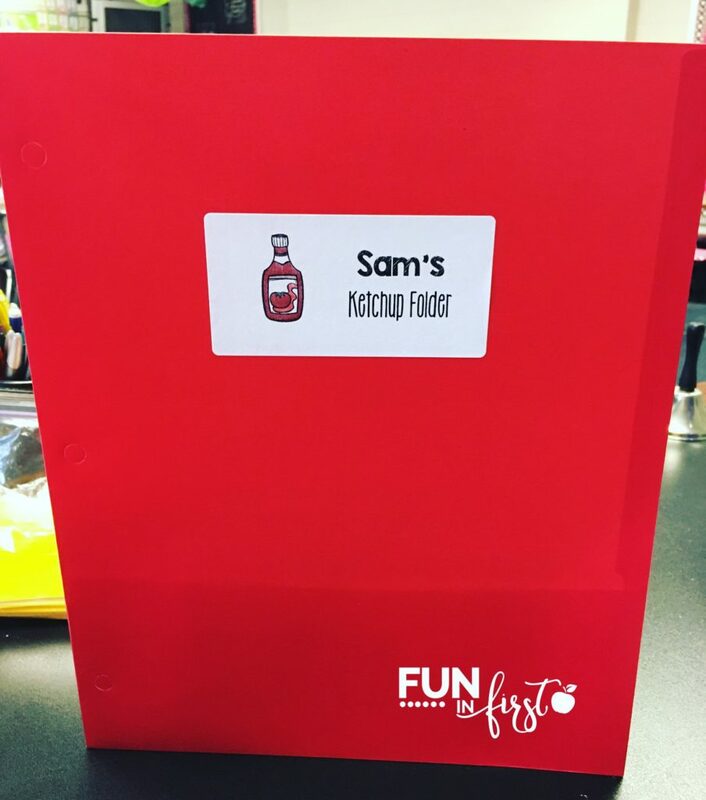 Find this Interactive Practice Folder in my Teachers Pay Teachers Store. All of the walls in my classroom are cinder block. This definitely makes hanging things harder. I have found that Sticky Putty seems to work the best for keeping things up. There are still times when I come into my classroom after the weekend, and I have to pick things up off the floor, but it isn’t nearly as often if they are hung up with Sticky Putty. I love having name badges for my students. These are great for the beginning of the year when they are still learning their lunch numbers. They are also great for subs and/or field trips. If you’re a teacher, you know how quickly students can go through pencils. Ticonderoga pencils are definitely the easiest to sharpen and are my go-to pencil choice. I always purchase the gigantic hand sanitizer container from Sam’s for my classroom. There is a lot of sneezing, nose picking, and shoe tying in 1st grade. What are your Back to School Must-Haves? 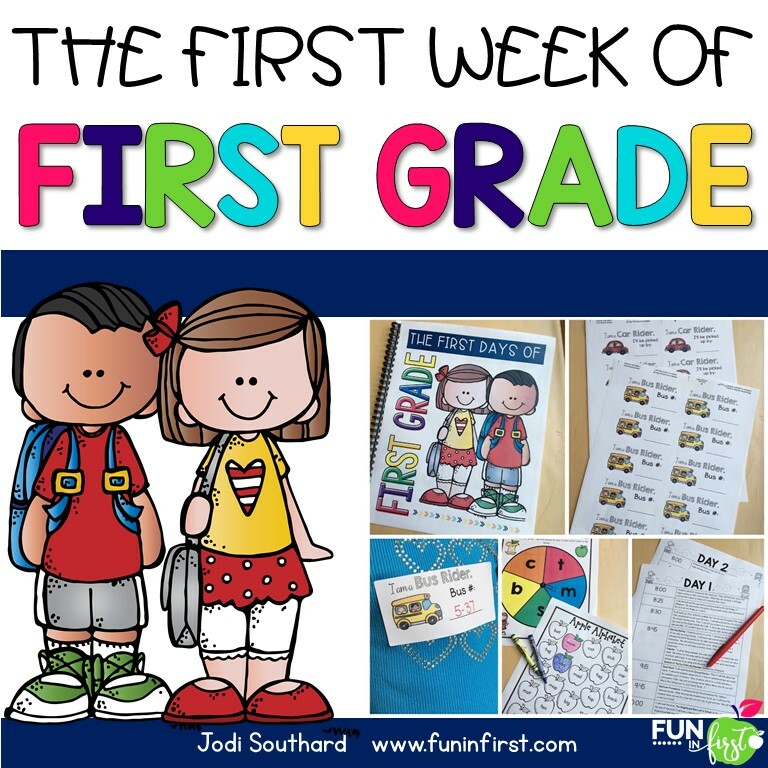 Are you new to 1st grade or do you just need some new and fresh ideas for Back to School? Check out my go-to for the first week of school.